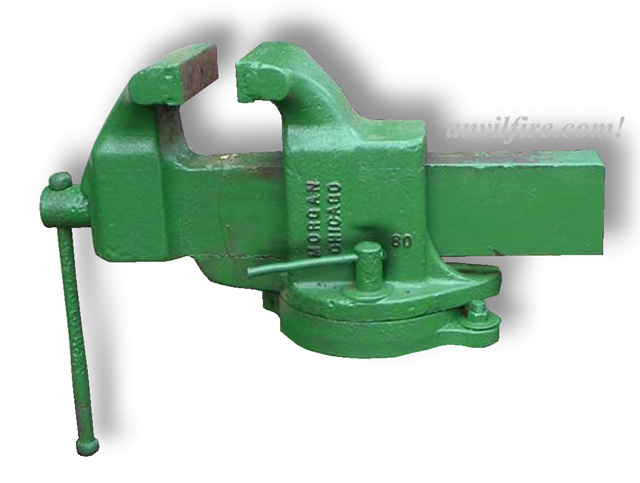 The story about this vise is that it was in the Pennslyvania Railrod shops when OSHA came in. They pointed at a bunch of tools and equipment and said it was too antiquitated and needed replacement. So, this vise, which is a modern as it comes was scraped and ended up in Warren's shop. 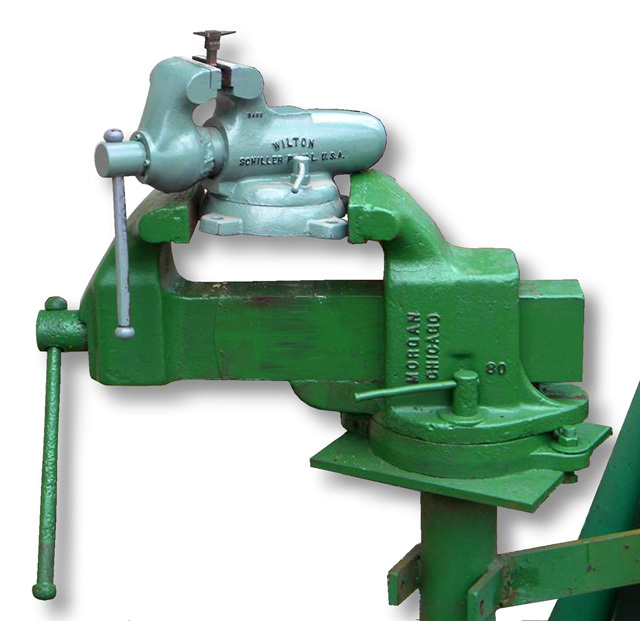 This vise is mounted on a stand attached to a large steel plate that has a Jib crane on it. The combined mass makes it very stout. However, it has had some typical rust damage to the screw handle. Luckilily there is now great demand for these big vises becuase vises are no longer made in this quality. Someone will reestore it in the future. Screw Vises modern and antique.